Within the last few years, it has pleased the good spirit of our God to awaken in his churches a serious concern for the diffusion of the Saviour’s cause. Numerous, and in some instances large associations of Christians have been formed for the purpose: considerable sums of money have been collected; Bibles and religious tracts are extensively and gratuitously circulating, and the hope which thousands cherish that the glory of the latter days is at hand, is as operative as it is joyous. The 1800s was an exciting century. We find that Baptists were motivated by the Great Awakening and missions work. William Carey’s mission work in India was circulated in magazines. British missionaries taking the western route to India would stop in America and speak of the need for foreign missions. Baptists kept pace with certain theological errors that crept into the century. In order to accommodate the Arminian Baptists, a new confession was drafted, the New Hampshire Baptist confession in 1833. In some quarters, the Arminianism developed into Unitarianism, a belief that all people will eventually be saved. Gaustad captures the Universalists’ thought and their disdain for Calvinism. Baptists also had the threat of Mormonism which swept across the states. Cambellites taught that baptism was necessary for salvation. Masons developed secret societies and Sabbatarians practiced legalism. What did it accomplish? By 1817, the convention published The American Baptist Magazine to promote the cause of the convention and the labors of its missionaries. 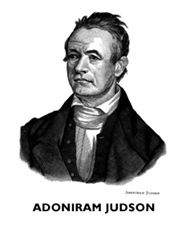 Most well known missionaries of the times were Adoniram Judson and William Carey. That same year, during the Triennial Convention gathering, Luther Rice read reports of William Carey’s mission work in India and Adoniram Judson’s work in Burma. It was decided at that convention that one such missionary go to the Missouri Territory, John Mason Peck (1789–1858). John Peck was born in a Congregationalist home. By 1811, he and his wife rejected infant baptism and became convinced through Scripture that believer’s baptism was to be practiced. They joined a Baptist church in New York. 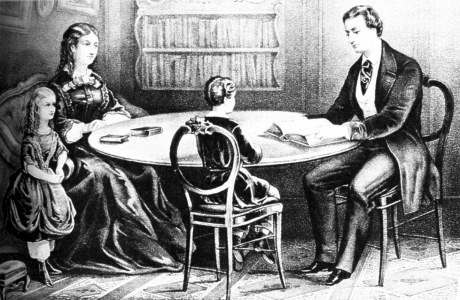 They served in the St. Louis, Missouri area by establishing Sunday Schools, teaching, preaching, and publishing a newsletter – The Pioneer. In 1827 he founded Rock Springs Seminary which he later (1832) moved to Alton, Illinois and renamed it as Shurtleff College. Peck served two terms in the Illinois legislature and is credited with abolishing slavery in that state. What happened to the convention? The convention was also involved in establishing Columbian College. It was not long before this college became part of a controversy. Columbian College had fallen into heavy debt, primarily because of the “loose accounting” of Luther Rice. Luther Rice, traveled throughout America raising money and pledges for the college. He purchased land, built buildings, and borrowed money without authorization from the Convention. Though he was cleared of fiscal criminal activity, his actions raised concern among many churches in the South. As a result, the Convention lost much support from the Southern churches. In 1826, it relocated to Boston, Massachusetts and providentially gained the support of the New Englanders. The missionary impulse was so great that during a recess of the Triennial Convention, the American Baptist Home Mission was organized. The Triennial Convention was favorable to the new mission work for the Triennial Convention wanted to focus its efforts over seas. The ABHM focused on Home missions. The Baptist General Tract Society was born in Washington D.C. in 1824. The idea came from a Noah Davis who witnessed another man carelessly removing his hat which was filled with tracts. The tracts spilled all over the floor. The Tract Society was formed to “disseminate evangelical truth, and to inculcate sound morals, by the distribution of tracts.”5 This Society is now known as The American Baptist Publication Society which publishes far more than tracts. Baptists developed a passion to evangelize the “pagans” in America. They left the colonies and moved West to establish churches as far west as the Mississippi River. Adoniram, like so many other Baptists, was born in a Congregationalist home. He had the “unusual gifts of concentration, extended labor, and mental alacrity [liveliness].”7 His brilliance became his idol. He attended Providence College (now Brown University). At the university, Judson linked with an intellectual skeptic, William Eames, who persuaded him to abandon his religion. Through the providence of God, Judson heard the agonizing, fearful moans of his friend as he passed away. Softened by this experience, Judson accepted his father’s counsel and enrolled at Andover Theological Seminary. At Andover, Judson’s mind was challenged by the well explained truths of God’s word. He acknowledge Christ as Savior and Lord on December 1808. While at Andover, Judson developed a friendship with some others who already devoted themselves to missions work. One of the men was Luther Rice. Upon graduation, these two men joined a Congregational society for foreign missions and were commissioned to Calcutta, India. 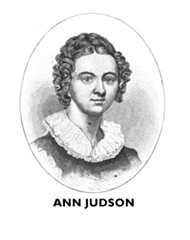 Judson took his wife Ann. Rice’s fiancé, opposed to missions in a foreign land, abandoned him. The Judsons disassociated themselves from the Congregational mission work and served under the Triennial Convention. The Judsons were expelled from their mission work and began in Burma. Their mission work in Burma was difficult. Judson was imprisoned. Just after his release from prison, Ann passed away. He remarried twelve years later. His second wife died after eleven years of marriage. He married again, only to see his third wife die within a few years. Judson’s tenacity and perseverance demand our attention. He returned to America in 1846 for only one year, after having spent 33 years on the mission field. He was sought out to speak in many churches. However, because of a throat ailment, he could not speak. He composed his messages while others spoke them. Judson not only increased missions in the minds of Americans, he provided the Burmese with a grammar book and left them with the entire Bible in their own language. 1. Mission work abroad encourages mission activity at home. 2. Mission work abroad is based on solid ministries at home. 1 Edwin Gaustad, A Documentary History of Religion in America to the Civil War, 280. 4 Annual Report, American Baptist Home Missionary Society, 1835, 13–14. Cited in McBeth, Sourcebook, 225. 5 Daniel Stevens, The First Hundred Years of the American Baptist Publication Society, 114. 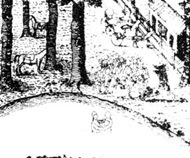 Cited by McBeth, History, 361. 7 Nettles, By His Grace and for His Glory, 148. 8 Letter to a friend, September 7, 1812. Will there be any other ways of hook up with your site without opting-in into the RSS? I can’t understand the reason why however I can’t have the RSS packed on the viewer though I can see it via my browser.